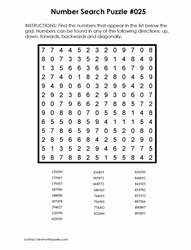 This category of number search puzzles contains 6 digits in the puzzles. 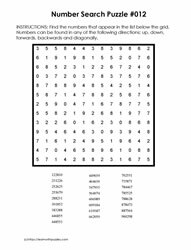 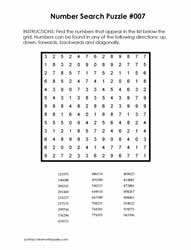 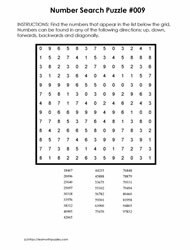 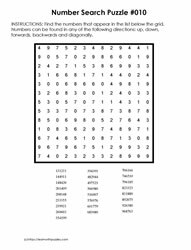 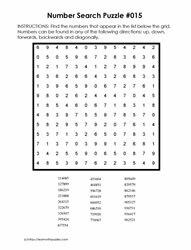 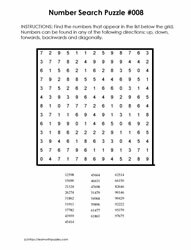 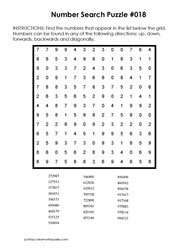 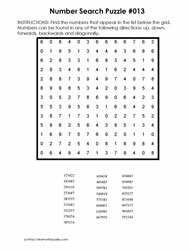 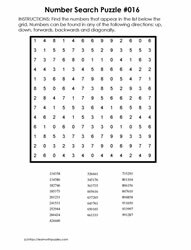 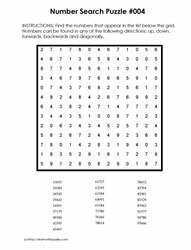 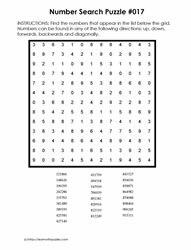 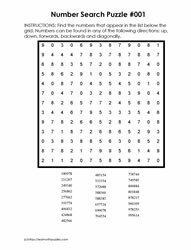 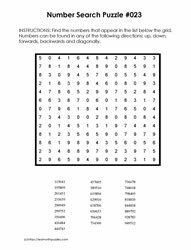 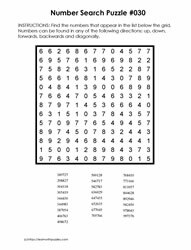 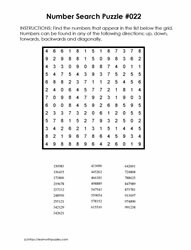 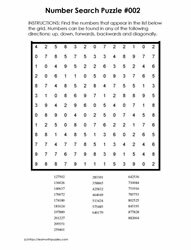 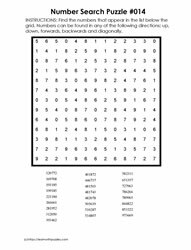 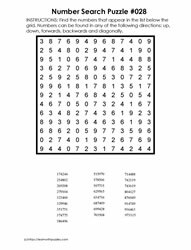 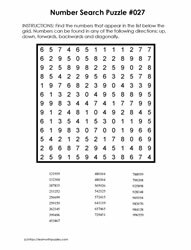 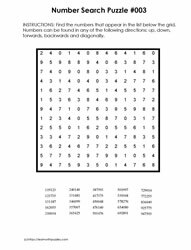 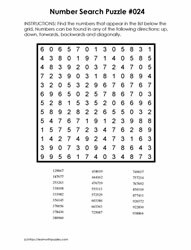 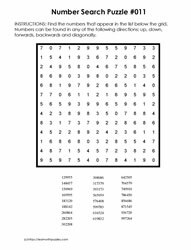 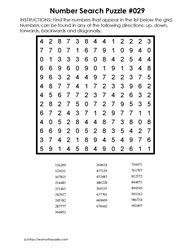 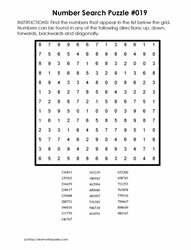 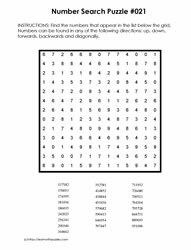 Number search puzzles use number clues containing 6 digits. 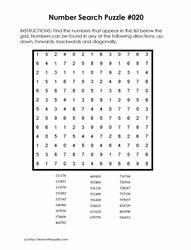 Other number search puzzles have word clues! 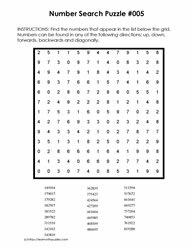 Engage the brain, challenge friends and family to see who can be the first to complete the number search puzzles. 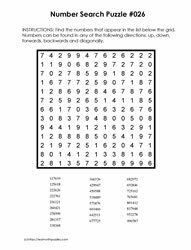 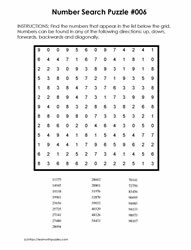 For the puzzles with 6-digit clues challenge the brain to see how many digits you can remember as you locate the numbers in the grid.